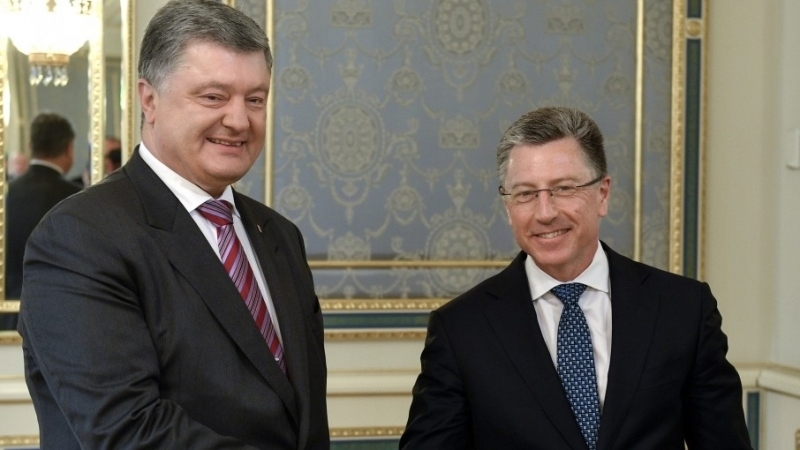 May 16, President of Ukraine Petro Poroshenko met with the US Special Representative for Ukraine Negotiations Kurt Volker, during which the issue of the UN peacekeeping mission in the Donbas was discussed, according to the press service of the head of state. “The interlocutors discussed the situation in the Donbas and noted the importance of deploying the UN peacekeeping mission in its occupied part,” the press service reports. Both sides noted the need for the release of Ukrainian hostages. During the meeting, the sides paid attention to the issue of security and defense cooperation between Ukraine and the United States, the strengthening of Ukraine's partnership with NATO and the issue of energy security, taking into account the risks posed by the Nord Stream-2 gas pipeline. The issue of reforms and fighting corruption was raised separately. Earlier, Kurt Volker in Kyiv met with people's deputies of Ukraine and discussed topical issues related, in particular, to Russian aggression in the Donbas. Volker was interested in the opinion of the People's Deputies concerning the resolution of the situation in the Donbas.